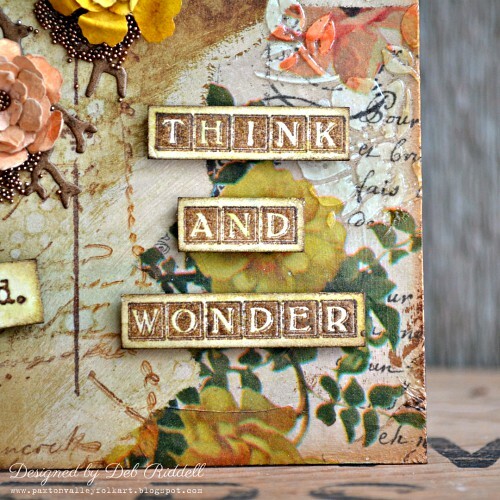 Hello everyone, Deb here to share a tutorial with you on how I made my Think And Wonder postcard for our current 'Put Your Stamp On It' challenge. For this challenge we would like to see some stamps on your creations, a minimum of one stamp but the more the merrier! 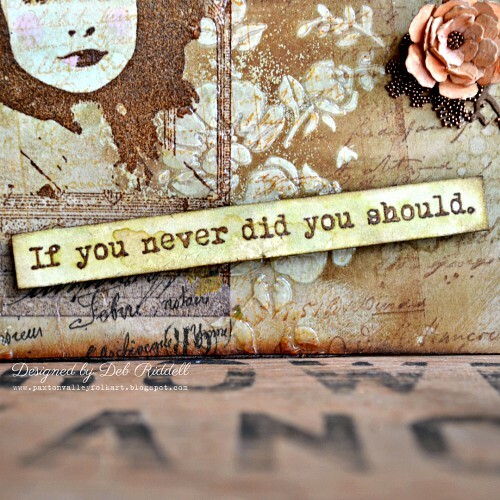 Stamp your backgrounds, fussy cut or die cut some stamped images, add some stamped sentiments; whatever you'd like as long as it is in one of our preferred vintage, shabby, mixed media, art journaling, industrial or steam punk styles. 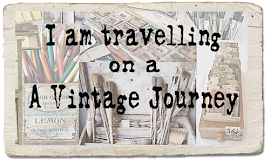 I decided to use some of the sadly neglected stamps in my stash and settled on a couple of sets from Artistic Outpost - Think And Wonder and Ephemera Background. 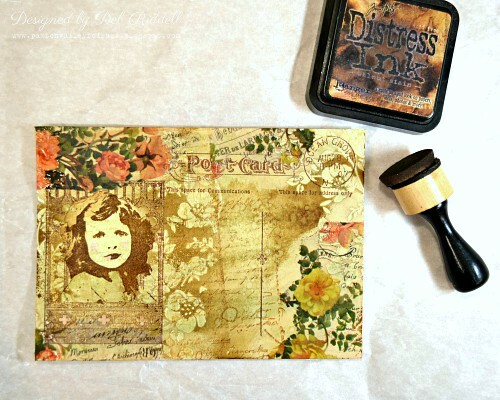 I cut a piece of Distress Mixed Media Heavystock to 5" x 7" and inked it with Bundled Sage Distress Stain and Antique Linen and Old Paper Distress Inks. 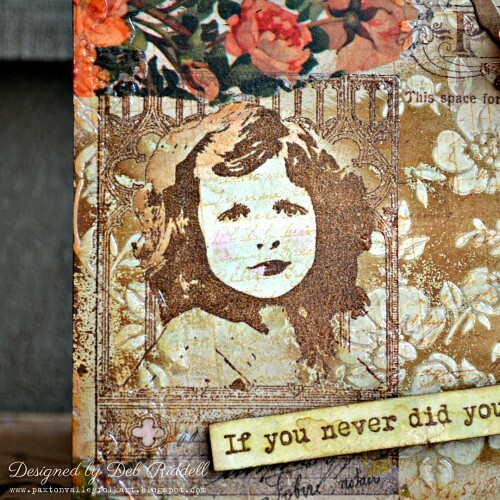 The first layer of stamping was done with Distress Archival inks in Vintage Photo and Ground Espresso and the image of the young girl was then stamped with Ground Espresso Archival and clear embossed. The young girls image was masked off and the Ledger Script stamping added over top. 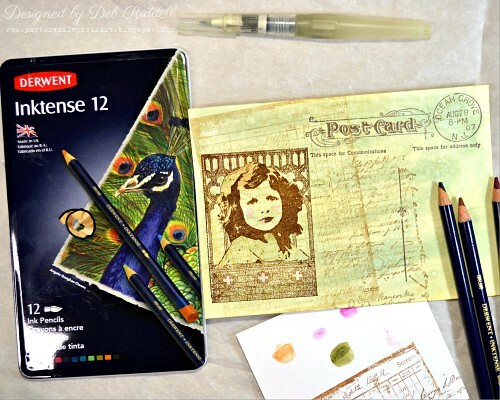 The young girl was lightly tinted with Inktense pencils and a water brush. Bits of torn Floral Collage Paper were added here and there to the postcard with Matte Distress Collage Medium. 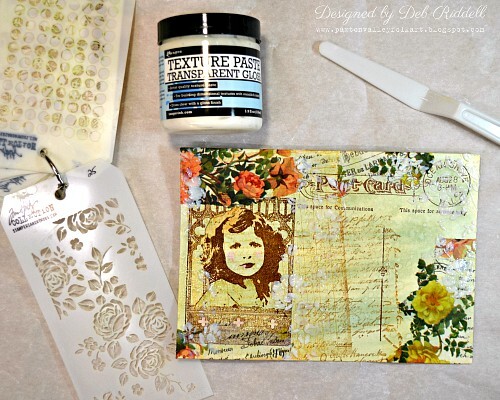 Transparent Gloss Texture Paste was applied through the Mini Floral Layering Stencil. 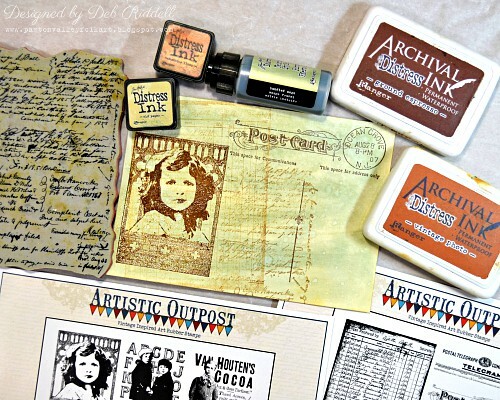 Once the texture paste had dried, Walnut Stain and Ground Espresso Distress Inks were applied around the stenciled areas, taking care not to get any ink on the young girls face and wiping the ink off of the Transparent Gloss texture paste to reveal the pattern. 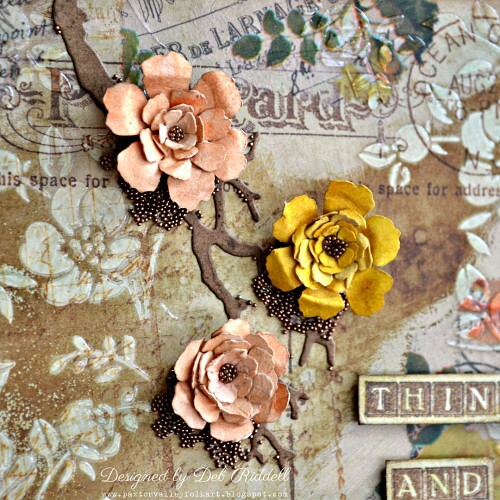 Florals were die cut from Distress Ink coloured cardstock with the Small Tattered Florals die in colours to coordinate with the Floral Collage Paper (Mustard Seed, Wild Honey, Dried Marigold and Abandoned Coral). 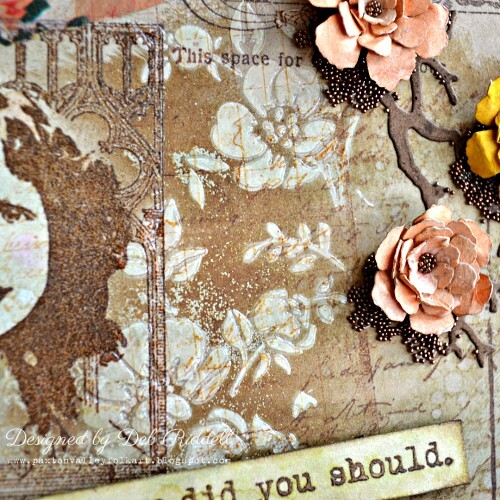 The branch was die cut from kraft cardstock and inked with Frayed Burlap and Walnut Stain DI. 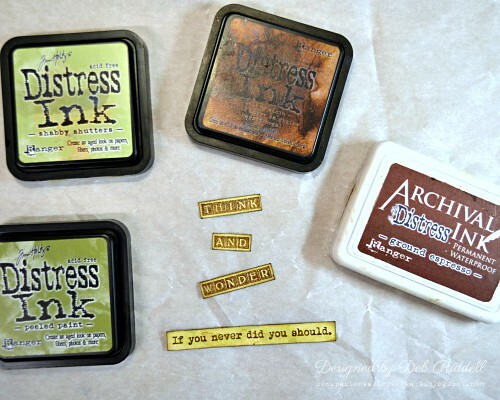 Two sentiments from the Think And Wonder stamp set were stamped with Ground Espresso Archival Ink, clear embossed, cut to size and then coloured with Shabby Shutters and Peeled Paint DI, aging the edges with Walnut Stain. 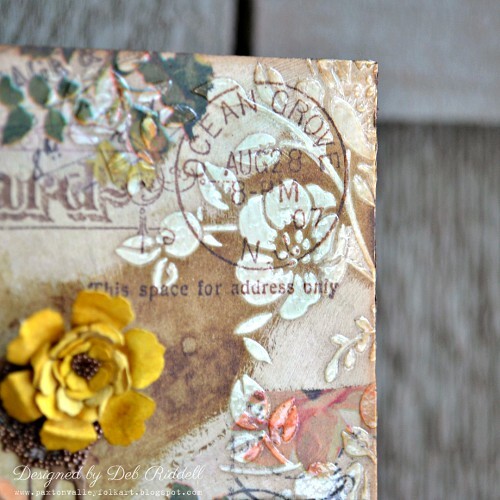 The florals were added to the top of the postcard and some Prima Art Ingredients Metallic Micro Beads were added to the centers and under the flowers. 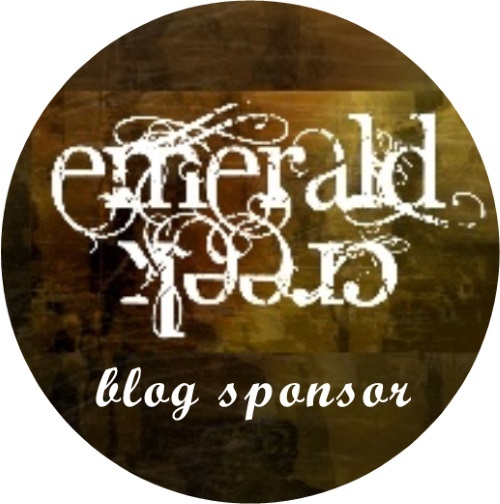 The sentiments were bumped up on black foam squares and adhered to the postcard. And that was it! 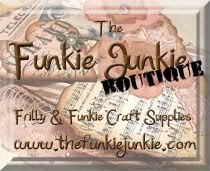 Here are a few closeups of the completed postcard. 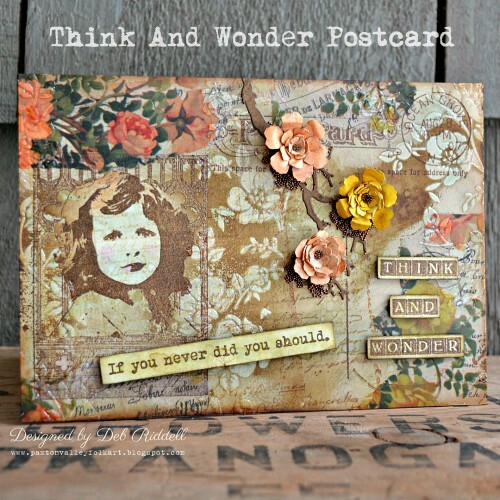 Hope that you have enjoyed seeing how my Think And Wonder postcard came together. 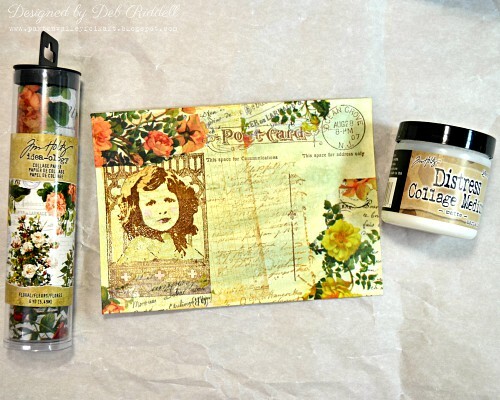 A great tutorial Deband wonderful to see how you created your gorgeous postcard . 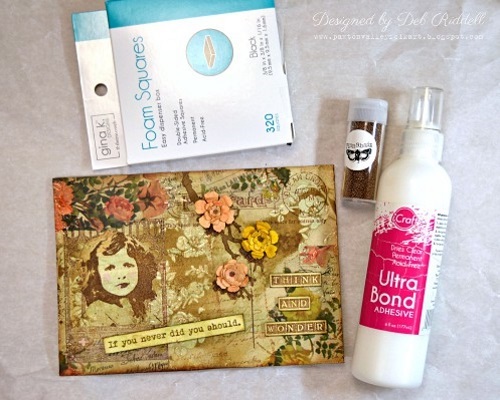 I enjoyed your tutorial, Deb, and your stunning postcard. 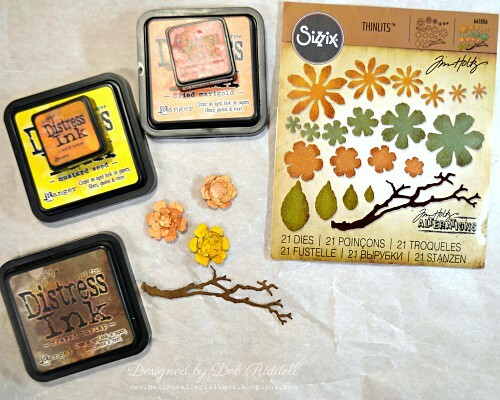 I love the ink resist with the gloss medium; it brings all those elements together so beautifully!